The National Credit Regulator (NCR) and the Companies and Intellectual Property Commission (CIPC) reported on their Strategic Plans 2015/16 – 2019/20 and Annual Performance Plans for 2015/16. The CIPC said although customers demonstrated more than average satisfaction with CIPC, stakeholders were less satisfied with the CIPC across all attribute dimensions. CIPC received an overall satisfaction rating of 6.30 out of 10. Overall, stakeholders were less satisfied with the CIPC (4.70) compared to customers (6.38) and service excellence (5.92) and communication (6.04) received the lowest satisfaction ratings among both customers and stakeholders. There were currently 41 self service terminals, 14 in Cape Town and 27 in Gauteng. The business rescue report identified the main reasons for financial distress and found that business rescue was mostly used by private companies followed by close corporations. CIPCs total annual compliance rate was 50% compared with last year’s 52%. There was growth of 6% in the total gross number of filings compared with the previous financial year with a total revenue of about R277 million (R205.6 million from prescribed fees and R71.4 million from penalties). Adv Voller gave a detailed overview of the performance indicators and targets. The strategic outcome oriented goals were to improve the competitiveness of the South African economy by enhancing the reputation of South African businesses and the South African business environment, to contribute to a knowledge-based economy and competitive local industries by promoting innovation, creativity and indigenous cultural expression and knowledge and to promote broader formal economic participation by enhancing service delivery and extending the reach of CIPC. During the coming financial year, particular focus would be on concluding the first phase of the organisational transformation and repositioning the organisation as a regulator, refining the self-help channels and improving awareness of services and improving business continuity and security. In the next five years, the focus would be on enhancing the integrity of registries, improving compliance with laws administered by CIPC and the migrating of all transactional processes to e-services. The Committee focused on the functionality and ease of access of CIPC’s new website. Members reported that many complaints had been received from the public on how cumbersome the website was. There was some discussion on whether the problem was CIPC’s management of the website or whether the public needed help and guidance on navigating the website. It was noted by Members that the progress with the website would be monitored. Members also discussed the vacancy rate (50%) of CIPC, the ongoing labour dispute with the National Education, Health and Allied Workers’ Union (NEHAWU), and the turnaround time for having a company registered. The speed of registration versus the integrity and verification of data were discussed and Members also focused on whether CIPC was contributing through the registration and deregistration processes to the broader transformation agenda of the country. The National Credit Regulator programmes were aligned to the strategic outcome-oriented goals of the DTI. Programme 1: To promote responsible credit granting: The goals of Programme 1 were to reduce the levels of over indebtedness, to promote affordable levels of credit. Programme 2: To protect consumers from abuse and unfair practices in the consumer credit market and address over-indebtedness: The goal of Programme 2 was to decrease the levels of reckless lending practices. Programme 3: To enhance the quality and accuracy of credit bureau information: The goal of Programme 3 was the improvement of consumer credit information. Programme 4: To improve NCR’s operational effectiveness: The goal of Programme 4 was efficient service delivery. Programme 5: To ensure effective implementation of the National Credit Amendment Act (NCAA): The goal of Programme 5 was improved compliance with regulations and consumer protection. Operational expenditure for 2015/16 amounted to R125.4 million, expected to increase to R175.1 million. Operational expenditure entailed personnel costs (R82.2 million for 2015/16), administration costs (R20.2 million for 2015/16) and programme costs (R22.9 million for 2015/16). Total expenditure amounted to R132.6 million, i.e. including capital expenditure of R7.2 million). Total income amounted to R132.6 million, projected to increase to R182.3 million over five years. Total income constituted fees from registrants (R55 million), transfers from the DTI (R65.7 million), interest (R2 million), other income (R1 million) and additional funding from DTI (R8.8 million). Possible challenges to the programmes that included possible reckless lending leading to over-indebtedness, low or non-response from registrants, NCR presence in the rural and underserved communities, lack of understanding of the National Credit Act, inefficient service delivery and funding. These challenges should be mitigated by monitoring compliance to affordability assessments, targeted consumer awareness and education initiatives, coordination with other regulators and improved operational efficiency through improved automated processes. The Committee discussed the cost of credit and whether over indebtedness, reckless lending and the types of credit consumers were accessing. The Committee wanted to know whether NCR had any research on the levels of developmental as opposed to unsecured credit consumers were accessing. Economic transformation as it related to access to developmental credit was also discussed. The Committee expressed concern on the budget of NCR, because it incorporated additional funds the DTI had not yet committed to. The Committee also questioned the operational expenditure and the year on year increases over the five years. Members commented that an alternative plan and concrete cost containment measures needed to be in place, as expected of all government entities. The Chairperson welcomed everyone to the meeting and the agenda for the meeting was adopted. 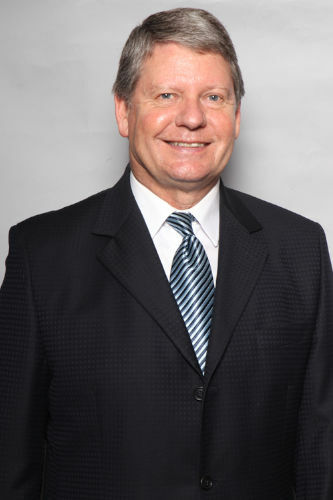 CIPC Deputy Commissioner, Adv Rory Voller, said In the first four years since the inception of CIPC (May 2011 – March 2015), the focus had been on increasing the number of channels for service delivery, developing and implementing a new organisational design and strategically aligning policies and modernising the ICT infrastructure to create a stable processing and high availability environment. Other areas were the migrating of the organisation and the clients to e-services, improving turnaround times by automating high-volume, less complex processes and building regulatory capacity. Although customers demonstrated more than average satisfaction with CIPC, stakeholders were less satisfied with the CIPC across all attribute dimensions. CIPC received an overall satisfaction rating of 6.30 out of 10. Overall, stakeholders were less satisfied with the CIPC (4.70) compared to customers (6.38) and service excellence (5.92) and communication (6.04) received the lowest satisfaction ratings among both customers and stakeholders. The survey concluded in 2014/15 now formed the baseline for the organisation in terms of customer and stakeholder satisfaction. The goal was to expand services throughout the country. There were currently 41 self service terminals, 14 in Cape Town and 27 in Gauteng. Adv Voller gave an overview of the CIPC’s integrated services in terms of collaborations with banks, the South African Revenue Services (SARS) and Black Economic Empowerment (BEE) certificate that had also been integrated. He also gave an overview in numbers of the registrations of companies, closed corporations, co-operatives, trademarks, designs and patents. The business rescue report identified the main reasons for financial distress and found that business rescue was mostly used by private companies followed by close corporations. Public companies used the process to a lesser extent and over the first three years the filings per category were similar. Mathematical projection suggested that the 500 filings per year mark might be reached for this reporting year. CIPCs total annual compliance rate was 50% compared with last year’s 52%. There was growth of 6% in the total gross number of filings compared with the previous financial year with a total revenue of about R277 million (R205.6 million from prescribed fees and R71.4 million from penalties). Adv Voller gave a detailed overview of the performance indicators and targets. The strategic outcome oriented goals were to improve the competitiveness of the South African economy by enhancing the reputation of South African businesses and the South African business environment, to contribute to a knowledge-based economy and competitive local industries by promoting innovation, creativity and indigenous cultural expression and knowledge and to promote broader formal economic participation by enhancing service delivery and extending the reach of CIPC. 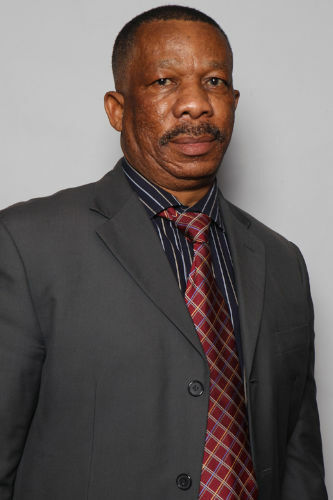 CIPC Chief Strategy Executive, Mr Lungile Dukwana, said in the coming financial year, particular focus would be on concluding the first phase of the organisational transformation and repositioning the organisation as a regulator, refining the self-help channels and improving awareness of services and improving business continuity and security. In the next five years, the focus would be on enhancing the integrity of registries, improving compliance with laws administered by CIPC and the migrating of all transactional processes to e-services. Key risk and challenges included the lack of accuracy and completeness of data resulting in limited reliability of data for internal and external purposes, lack of adequate verification of information submitted and labour unrest. Mr Dukwana outlined the controls and mitigation action CIPC put in place to address these risks and challenges. The Chairperson asked if the current electronic system in operation could be addressed. She asked whether the new budget took into account the financial and resource capacity challenges in terms of the electronic system. Adv Voller said one of the big drivers and concerns that created some of the instability issues was the ‘legacy database’ that created problems in migrating data and increasing performance. CIPC continually looked at how the development aspects and the infrastructure aspects coincided and this had been addressed in the budget. The migration from paper and manual transactions to electronic services resulted in serious strategising and looking at ways to capacitate CIPC in the IT space which had been addressed in both the Strategic Plan and the performance measures for the coming years. Ms P Mantashe (ANC) wanted clarification on whether the high vacancy was related to the people that had to monitor the implementation of the electronic services. Adv Voller replied that CIPC and the jobs at CIPC was redesigned fro staff to play a more meaningful role in the area of query resolution that would warrant more constructive engagement with the industry and the public. Nobody would lose their jobs and their needed to movement of some sort to the newly designed query resolution system. Mr N Koornhof (ANC) asked how the customer survey was conducted and how far the online linking process between CIPC and SARS was. If this linking process with SARS was still envisaged, he asked how long it would take for it to happen, because it was really important. CIPC had also notified people that penalties would be reinstituted from October 2015 and the penalties were initially stopped because of the problems experienced by CIPC. He asked how much had been lost on the penalties and if CIPC would be ready to deliver the services since penalties could only be instituted if services were being provided to customers. Adv Voller said the full report on the surveys would be shared with the Committee. The surveys were conducted both online and in person. The online link between SARS and CIPC had been significantly strengthened in the last eight months and it was currently a ‘high availability link’. CIPC had put a number of companies up for deregistration in 2013 and those companies have not been deregistered because of the vacancies at CIPC and the fact that the annual returns system had to be updated. These companies were given a grace period without being penalised to get their annual returns current and up to date. Mr A Williams (ANC) asked what percentage of the budget was being spent on consultants and external contractors and why the work could not be done internally. He asked what measures were put in place to fill the vacancies and what the status on the dispute with the National Education, Health and Allied Workers’ Union (NEHAWU) was. He asked what the annual bonuses of the CEO and CFO of CIPC was. Adv Voller replied that the major budgeting for consultants took place in the IT space. CIPC used two consulting companies, one that dealt with the core infrastructural stabilisation of the company system and another that dealt with the development and maintenance of specialist IT systems. CIPC went a through massive reorganisation, transformation and restructuring process. When the process was concluded, there was an opportunity for internal advertising and internal promotions for employers. This was linked to the labour unrest issues, because when the initial stage was concluded a dispute was raised by NEHAWU regarding how the matching and placing had taken place. CIPC management had been taken to the Commission for Conciliation, Mediation and Arbitration (CCMA) about four or five times in the space of a year. The CCMA dismissed all the complaints except for one where a settlement had been reached with NEHAWU that leveled a moratorium on recruitment. This settlement held that there should be no recruitment at the lower levels until certain aspects of the dispute had been addressed which entailed the matching and placing exercise. This settlement had been agreed to under the threat of strike action and the settlement and the moratorium had been ongoing since the beginning of 2015. CIPC was actively trying to engage NEHAWU because one area of the settlement also focused on formalising a bargaining structure which had now been halted because the CCMA drafted a process document to be signed by CIPC and NEHAWU, but NEHAWU questioned the document. Linked to the vacancy rate were CIPC’s transformation and the demand by the union that no filling of vacancies would be undertaken while the process was ongoing. It was a dilemma for CIPC although some vacancies at the higher levels had been filled. For the last two or three years CIPC had what was called an “operational bonus” where the performance of the organisation across the board was taken into consideration and the “bonus pool” based on the performance was then shared equally among employers. For the past year, the Commissioner did not get a bonus based on a directive from the Minister. Mr B Mkongi (ANC) said CIPCs aim was to move to e-services and he asked how the challenges of the vacancy rate, the dispute with NEHAWU and the stabilisation of the electronic services would be dealt with. He asked if there was capacity for staff training and if staff members were at risk of losing jobs because of the changes. He asked what role CIPC played in the government’s broad transformation agenda in terms of company registration and deregistration. CIPC was assisting state-owned companies and he asked that to be clarified in terms of factionalism. Adv Voller emphasised that nobody would be losing their jobs, but staff would be doing more complex work. CIPC actively went out, with the DTI, to the whole of South Africa to educate South Africans about company registrations and their obligations. These active engagements also incorporated engagements with small business under the directive of the Minister for Small Business Development, Ms Lindiwe Zulu. These interactions informed people how to access CIPC systems, whether manual or online, as well educate future entrepreneurs on company law and regulatory aspects of company registrations. The Chairperson asked how the success of business rescue could be evaluated in light of DTI’s objective to create a fair regulatory environment in an equitable and socially responsible manner. She also wanted to know what ‘nullity’ meant and if there was a correlation between business rescues being mostly used by private companies followed by close corporations and CIPC’s increase of company registrations. ICT infrastructure remained a concern and it would be helpful if CIPC could give an honest assessment of that system. Adv Voller said many of the business rescue practitioners utilised one aspect, i.e. to look after the concerns of the shareholders, of what would be deemed a successful rescue. CIPC policy put the saving of the company at the forefront that would promote people holding onto their jobs. It was a great concern to CIPC and together with DTI, there needed to be some discussion on how to address this issue, even if the legislation had to be amended. The social responsibility aspect did not clearly feature in business rescues. There were different types of nullities and one way would be when an affected party took the challenged the business rescue through a court process and the business rescue are then declared a nullity. If a company already received liquidation notices, the application for business rescue would be declared a nullity because it has to done prior to any liquidation notice. Ms Mantashe asked what progress had been made on Strategic Objective 2 (Innovation and Creativity Promotion and perhaps at a later stage provide the Committee with evidence of that progress. Mr D Macpherson (DA) said one of CIPC’s responsibilities was the ease of registering companies, but the World Bank reported that the number of days it took to register a company (19 days) had not changed and that it took longer to register a company in South Africa than in war torn countries like Afghanistan, Syria and Rwanda. This statistic did not make sense and there was very little in the Strategic Plan that actually addressed the improvement of the turnaround time for company registrations. People still battled with the ease of access to CIPC’s website and the Committee has been told since October last year that the ease of using the website would be better but the fact of the matter was people was still complaining on a daily basis about their frustrations in their ability to start their businesses. Adv Voller replied that CIPC had been dealing with the World Bank for the last three weeks on the new automated initiatives. Engagement with the World Bank historically had been around the data and indicators received from CIPC. It needed to be taken into account that there needed to be alignment between the ease of the lodgement of data, the integrity of the data and the verification of the data. The biometric system was a major push for CIPC, because it would make a significant impact on the turnaround time. In some areas, especially when dealing with new companies, identification documentation needed to be manually uploaded, but with the new agreement with the Department of Home Affairs (DOHA), the biometric system, as long as it was done through a secure portal, could be implemented in this regard. A lot of the focus was on how quick the company could be registered, but the integrity of the data that got through to CIPC’s registers needed to be ensured. Mr Williams said he also had received many complaints on the non-functioning of the website and he asked when the website would be fully functioning so it could be tested. Adv Voller replied that the reports on the website were worrying, because the website was up and running at a 95% availability rate. The problem was with people’s capacity to navigate the website and to use the e-services components on the website. CIPC needed to put more emphasis on showing how the website should be navigated. Mr Macpherson disagreed and quoted an article dated 30 September 2014 in Business Day where the Minister stated that although services were improving, much work still needed to be done. At that point, some 2 000 queries had been received within the space of two weeks, and the turnaround time for resolving these queries was ten working days, but only 10% of the queries had been resolved. He asked if Adv Voller was suggesting that in the last six months that “much work” that remained had been done and that the turnaround time for queries was now less than 10 days. The website was complicated and cumbersome and queries were not being resolved. The problem resided within CIPC’s management of the website and the website itself. Adv Voller replied that when that particular comment was made by the Minister, the website was probably up for a week, because the website was launched in September 2014. The experiences at that time were far different from what was being experienced now, because it was totally new and a radical shift from the previous CIPC website. One major issue was the uploading of documents in terms of the e-services portal which people struggled with. CIPC should do more to improve the usability of the website and educate people on how to use what the website currently offered. The Chairperson said the progress on the website would continue to be monitored. Mr Mkongi clarified his previous question and said CIPC was an entity of DTI and DTI had policies on Black Economic Empowerment (BEE) and transformation. There are companies in South Africa that had been established after 1994 that were still 100% white and white male. He asked if CIPC was assisting the government, at the point of registration of companies, with transformation. Business rescue needed to be addressed through legislation, but blatant bad business decision making also needed to be addressed. Job creation was critical in the country and bad business decisions hampered job creation and it also talked to the social responsibility in the business rescue process. Adv Voller replied that CIPC with the DTI could do a lot more in this space. The BEE certificate had been launched where the certificate could be issued at the same time as the registration certificate. More focus would be on ensuring ease of access and opening up services in remote and rural areas. CIPC’s policy unit would have to look at how data was analysed as it related to the economics of registrations. From both a policy and implementation perspective, CIPC going forward, if a director of company was found to have been dealing recklessly, action would be taken against that director. CIPC currently had such a case before court in an attempt to declare the director delinquent and that would prohibit him from being able to open another company. Ms Mantashe said there was a responsibility on the entities of DTI under the ANC government to ensure inequality would be reduced. She asked whether CIPC considered issuing bonuses on a sliding scale to close the gap between the highest and lowest allocations. Adv Voller replied that CIPC was currently revising the performance policy and it contained a sliding scale. This policy would be submitted for approval and it could be shared with the Committee. The Chairperson asked for comments on the issues raised by the Auditor-General, specifically the non-alignment of indicators in the APP to the Strategic Objectives and what measures had been taken to address those findings. Mr Dukwana raised issues around the website availability, the measurement of calls taken through the call centre and the annual returns. The Auditor-General stated that the supporting documentation CIPC submitted on these indicators, were not adequate to make determinations. CIPC met with the Auditor-General about a month ago to deal with the kind of evidence required for those specific areas. For the 2015/16 audit of the APP, an issue around the reflection of customer experience measures was raised. To mitigate this, the service delivery standards had been included to reflect the full value chain of the customer experience. The Chairperson said there would be a few other questions sent to CIPC on these findings via e-mail and she thanked the delegation for their input. NCR Chief Executive Officer, Ms Nomsa Motshegare, outlined the programmes of the NCR and illustrated how these programmes tied in with the DTI strategic outcome-oriented goals. The annual targets with the quarterly milestones were also shown. Programme 4: To improve NCR’s operational effectiveness: The goal of Programme 4 was encourage efficient service delivery. NCR Chief Financial Officer, Ms Ayanda Mafuleka, showed the operational expenditure for 2015/16 amounted to R125.4 million, expected to increase to R175.1 million. Operational expenditure entailed personnel costs (R82.2 million for 2015/16), administration costs (R20.2 million for 2015/16) and programme costs (R22.9 million for 2015/16). Total expenditure amounted to R132.6 million, i.e. including capital expenditure of R7.2 million). Ms Motshegare outline possible challenges to the programmes that included possible reckless lending leading to over-indebtedness, low or non-response from registrants, NCR presence in the rural and underserved communities, lack of understanding of the National Credit Act, inefficient service delivery and funding. These challenges should be mitigated by monitoring compliance to affordability assessments, targeted consumer awareness and education initiatives, coordination with other regulators and improved operational efficiency through improved automated processes. The Chairperson acknowledged that NCR, at a recent workshop, managed to bring together a diverse number of stakeholders and sectors and it was very enlightening. Mr Macpherson suggested that no more deals should be made with reckless lenders like the African Bank scenario that took place. The budget was concerning because there was a ballooning of operational expenditure, a flat lining of income from fees and a staggering increase of fees from transfers from DTI and additional funding. The budget reflected the total opposite of the cost containment measures that should be in place and he asked what the personnel costs and their outcomes related to. He also asked why administration costs had to increase so rapidly (R9 million) over four years. He asked the Deputy Director-General, Ms Zodwa Ntuli if DTI committed to the additional funding to NCR and if not, what position it would leave the NCR in. Ms Mafuleka replied that annual increase for personnel costs was around 8% and it budgeted for the Deputy Chief Executive Officer that would be appointed, appropriate legal personnel to deal with queries and NCR was also looking to fill positions for the call centre over the next five years. The annual increase for administration costs amounted to an annual increase of 10% and it entailed payroll related costs, recruitment costs, leave payouts, workman’s compensation and training. Mr M Kalako (ANC) asked what NCR’s staff complement and vacancy rate were and whether the organisation had regional and provincial offices. He referred to the 14 established credit bureaus in the country and he asked what the criteria were for the establishment of a credit bureau. Ms Motshegare replied that the staff complement was 172 with a 5% vacancy rate. NCR had only one office in Midrand, but they worked through partners in other provinces. The criteria for credit bureaus were contained in the Act. Mr Mkongi asked what the definition of a “consumer” was, because even in the government’s efforts to transform the economy of the country, black people still found it difficult to access credit and he asked if NCR intervened where black people were discriminated against. He wanted know if the “war against the cost of credit was being won”, i.e. were people getting out of gross indebtedness. He stated that the issue of the shortfalls for which the consumer was being held liable that resulted from the sale of repossessed houses and vehicles was not being addressed in the APP, because it should be addressed in the legislation. In the same vein, some of the banks extend credit against pension and retirement funds and he asked if this issue was being addressed in the legislation. He also wanted to know why the uptime of the IT system was being increased by 1% annually in the three year cycle. Ms Motshegare replied that consumers were everyday normal people and businesses with an annual turnover of R1 million or less were protected by the National Credit Act. NCR was in the process of reviewing the interest rate and a proposal would be presented to DTI to be published for comment by July 2015. One of the most expensive credit products to be offered by credit providers was unsecured credit with a maximum interest rate of 31.5% rate per annum which was being granted without proper affordability assessments. With the regulations in effect that mandated proper affordability assessments, there had been some contraction. There was an increase in secured credit such as mortgages and vehicle finance, but it essentially meant that consumers accessed credit to secure assets. NCR had started investigating credit providers and banks around incurred shortfalls. According to the Act, pension funds could only be used for housing purposes. Mr Mashapa replied there had been a sharp increase in short term loans and unsecured credit as assessed by the end of the third quarter from the previous quarter, as well as an increase in credit facilities such as credit cards and bank overdrafts. This had been mostly accessed by the lower income market (income of about R10 000) and this segment of the market also had the most credit agreements. The National Credit Act definitely improved access to credit for lower income consumers, but the question then became what the credit was used for. It had been found that people could apply for a card of a finance company like RCS in a hardware store to buy building material but when it was reported to the NCR and a store card and not as developmental credit. If statistics were properly analysed, it would perhaps show that there was an increase in developmental credit. Legislative reforms were needed to address the shortfalls and the proposal that would be submitted would show NCR’s thinking on possible interventions. NCR Chief Operating Officer, Mr Obed Tongwane, replied that NCR was developing a new IT system and was merely applying a conservative approach to the challenges that might arise. Mr Koornhof confirmed DTI that the additional funding had not been committed to and he said the Committee needed to see NCR’s alternative plan in due course, because all departments were under strain. If there was a slump in the markets, unforeseeable by both the consumer and the bank, the bank should bear some of the risk and these type of negations need to start with banks. Ms Mafuleka reaffirmed that the additional funding from DTI had not been committed to and NCR and if cost containment measures had to be applied, it would unfortunately impact on the mandate of the NCR. Mr Williams said a quick electronic showed many institutions offering quick loans at an interest rate of up to 60% per annum and even if interest rates complied with legislation, surely it was the role of NCR to indicate that these type of interest rates were very unfair to the borrower, as well as the high service fees charged by the lenders. He asked what was being done to ensure compliance when reckless lending took place. NCR was a vital entity of the state and he asked how much money the organisation actually needed to function optimally. The biggest problem in South Africa was the massive household debt and unless somebody got on top of it, defaulting would escalate and there could be another recession. Ms Mafuleka said the Strategic Plan outlined the budget NCR would need to perform optimally, but if new premises was to be procured, an increase of R60 million over five years (R12 million annually) would be adequate. Prof C Msimang (IFP) asked what strategies were being put in place to ensure people in rural areas were also adequately served. It was vital if poverty, inequality and unemployment were to be alleviated. He also wanted to know whether NCR was addressing its capacity in the current Strategic Plan to be able to serve the remote and rural areas. Ms Motshegare agreed and said the APP showed the focus on rural areas and small towns. NCR had worked with DTI over the past years by taking the initiative to visit rural areas to educate people what NCR was about and what the National Credit Act could do to assist them. The Chairperson referred to slide 15 and asked for comment on the cash projections of the quarterly milestones for Programme 1. She asked if NCR had been able to engage with other stakeholders on both home financing and the cost of credit. Ms Mafuleka replied that Programme 1 costs overall amounted to an annual increase of 10% and it included the cost of the premises and its maintenance, communication costs, audit costs and ICT support and maintenance costs. Mr Mkongi clarified that his question on the definition of what a consumer was related to economic transformation where black people wanted to start businesses in this country but were not able to access credit and he asked what role NCR played in that capacity. He asked whether NCR had any plans on policy interventions in terms of legislation within this three year cycle of the APP. He asked for an authoritative answer on whether the “war against the cost of credit was being won” and he also wanted to know if there was research available on what type of credit people was accessing. Ms Motshegare replied that NCR had not done any research on how credit was used, but focused their research on unsecured credit. It was certainly an issue that could be investigated. The role of the National Credit Act in encouraging developmental credit was in terms of the regulations put in place. Affordability assessments were not requirements if the credit applied for was developmental in nature. There were quite number of credit providers registered to provide information on the nature of the credit they extend, but there need to be measures in place for credit providers to be sure that the money was being used for the intended purpose. Mr Macpherson said the NCR did not respond to the question on what would happen if DTI did not provide additional funding. A request for additional could not be made if there was not a backup plan in place in case the funding was not granted. Ms Motshegare replied that NCR would have to look at cost containment measures as it had been applied in the past, but the organisation was also hopeful for fees from new registrants, as well as partnerships with other organisations to assist in NCR delivering on its mandate. Impact assessments could also be done once every two years instead of annually and perhaps the organisation at some point would have to engage with DTI to review targets. The Chairperson said the Committee would also want a detailed response with figures in writing. DTI Deputy Director-General: Consumer and Corporate Regulation Division, Ms Zodwa Ntuli, commented on the cost of credit and the policy surrounding the issue. The draft regulations on capping credit life insurance had been finalised and was currently with National Treasury for consultation with the Minister of Finance. This was done based on the impact the abuse of credit life insurance and other related insurances had on the cost of credit. The high interest rate had been under review by the NCR and the report would be submitted to the Minister to begin consultations on how this could be addressed in the regulations. Reckless lending contributed to the cost of credit because credit was being extended to people not able to afford the repayments which kept consumers in a debt cycle for extended periods. These instances of reckless lending should be investigated by the NCR where compliance notices should be issued and where necessary, referrals should be made to the National Consumer Tribunal (NCT). The manner in which credit was being marketed in South Africa was also a matter of concern and should also be looked at by the NCR. The abuse of emolument attachment orders, although not within the mandate of the DTI, also contributed to the cost of credit and would be dealt with in collaboration with the Department of Justice and Constitutional Development. The process of amending the Magistrates’ Court Act had already started and the revised draft would be published. The administration process was basically unregulated, including some debt collection areas. Debt collecting was regulated in terms of the legislation, but the bulk of debt collectors were not being regulated. Similarly, the Department of Justice and Constitutional Development was working on regulating that space and the fees related to those areas. The NCR and DTI should work together to look at the shortfalls and to look at the relevant provisions in the National Credit Act what could be the best possible action. DTI after consulting the Minister, had committed to research developmental credit starting this quarter and hopefully by the second quarter there should be a preliminary report available. DTI Group Chief Operating Officer, Ms Jodi Scholtz, said although the Department noted that the NCR required additional funding, there were processes in government that needed to be followed. The Minister in his last meeting with the entities stated that entities needed to start looking at creative ways to reduce costs and to increase fees. The Chairperson stated that DTI was responsible for Outcome 4, which was decent employment through inclusive economic growth, but it was very important to responsibly utilise credit, because it was a critical component of economic growth. The Committee noted the proposed cost containment measures by NCR and the Department should see to assisting NCR with additional funding when it became possible. The cost of credit in South Africa was not acceptable and creative ways should be found to address this issue. The Chairperson noted that she would not be able to attend the meeting the following day and asked Members to propose an Acting Chairperson for the meeting. Mr Mkongi proposed Mr Kalako. Mr Macpherson said it would be irregular for an Acting Chairperson to be appointed when all Members were not present. The Chairperson said it did not arise in the Rules; the current Committee had a quorum and the work of Parliament was not only governed by the Rules, but also by convention and practice. Mr Williams seconded the proposal.